Cape Town – Bafana Bafana have dropped five places to 60th position in the latest FIFA world rankings. Shakes Mashaba’s side failed to progress from the group stages of the 30th edition of the African Cup of Nations earlier this year hosted by Equatorial Guinea. South Africa got back to winning ways with a friendly win over Swaziland (3-1) and shared the spoils with Nigeria at the Mbombela Stadium (1-1). Bafana have also dropped one spot to 16th place in Africa, with Algeria currently holding the No 1 position followed by Ivory Coast and Ghana. 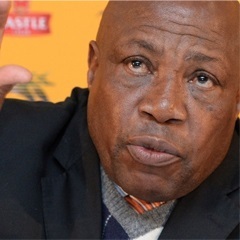 Meanwhile, Mashaba will hope to improve on Bafana’s early AFCON exit from this year's tournament after they were grouped with Cameroon, Gambia and Mauritania in the qualification rounds for the 2017 edition to be held in Gabon.